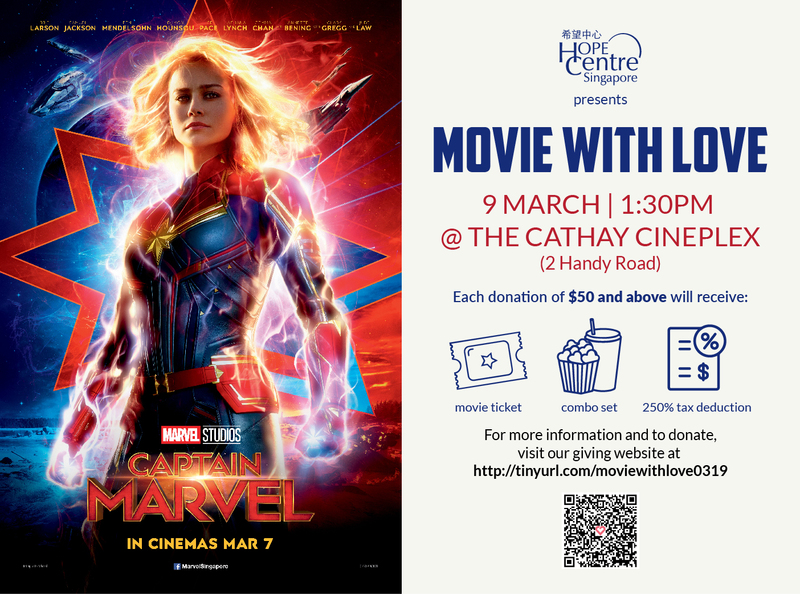 Hope Centre (Singapore) will be bringing back Movie With Love again this year, on 9 March 2019 at the Grand Cathay! Each donation of $50 and above will receive: a movie ticket and a popcorn combo set which includes a small popcorn and a drink. In addition, all donations to Hope Centre (Singapore) are entitled to a 250% tax deduction. We target to raise $20,000 through this upcoming event and your giving can benefit and improve the lives of people in need, by enabling us to continue running programmes for more than 4500 beneficiaries! For more information, head to our official giving website here!